After an inexplicable cessation of supernatural activity, the REAL GHOSTBUSTERS split up and went their separate ways, leaving only EGON SPENGLER to tend to the containment unit. Eventually returning to teaching, Spengler was leading a small class on paranormal studies when ghosts returned to New York in a BIG way. Egon recruited his students -- EDUARDO RIVERA, KYLIE GRIFFIN, GARRETT MILLER and ROLAND JACKSON -- as the newest iteration of Ghostbusters. (And since they were his only students, the only ones even remotely prepared to step into the shoes of the original team!). 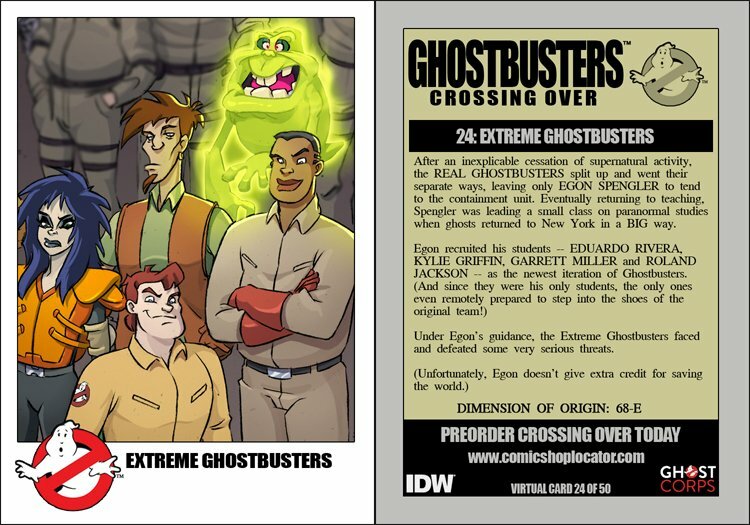 Under Egon's guidance, the Extreme Ghostbusters faced and defeated some very serious threats.